The current project is a free pattern, from Interweave Knits via Knitting Daily: the Pine Cone Scarf. 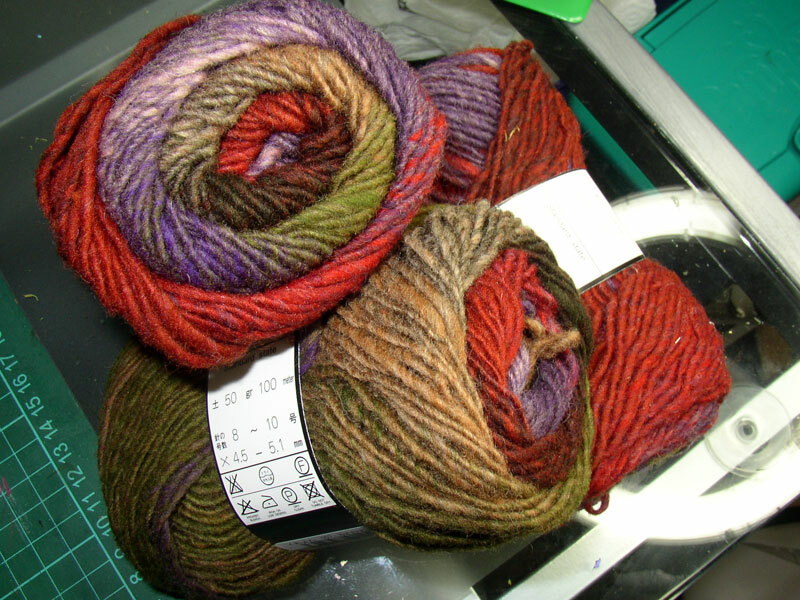 It should be fashioned in Mountain Colors Mountain Goat but I am using Noro Kureyon. This was a poor choice – I hadn’t realised that Kureyon is not washable. Oops. However, it comes in fab colours and is actually available in the UK – the Mountain Goat is very expensive and I failed to find a UK supplier anyway. I am using shade 157 “Emperor” – it’s a mix of greens, browns, russets, and purple … kind of. The greens and browns are just right to go with Mr L’s storm jacket, but are nicely leavened by the flashes of colour. I think it will look good. 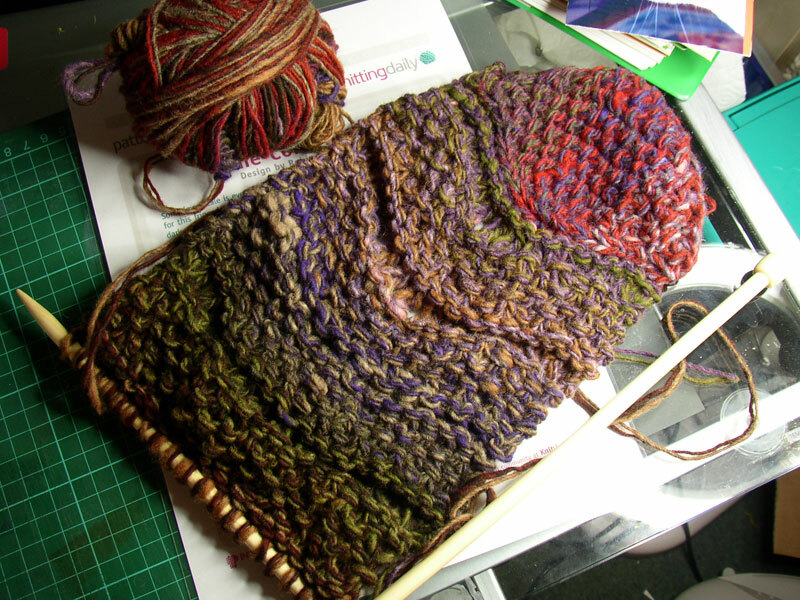 I will do this pattern again, and again, I think – it looks to me to be ideal for homespun. I’ll report back on that later, just as soon as I have spun sufficient (and I am not wasting my BFL on it, I can tell you) Jacob at a semi-correct weight. Time for photos? OK – Mr L has taken Nell for a walk so I can take a few shots. It’s in artificial lighting, though.